With the new filter menu, you can filter your Features board and Roadmap by a wide variety of feature attributes. Filter your Roadmap by Company to see the status/release of all features a customer has requested. Filter for all the features you own, or are following and save them as a new view you can return to at any time. Filter by release, no matter how features are grouped on your Features board. Contributors can use the new filters but cannot save views. Viewers can search the Roadmap but not apply filters. Often we spot a trend in the insights linked to a feature or component: they actually represent two or more distinct needs! 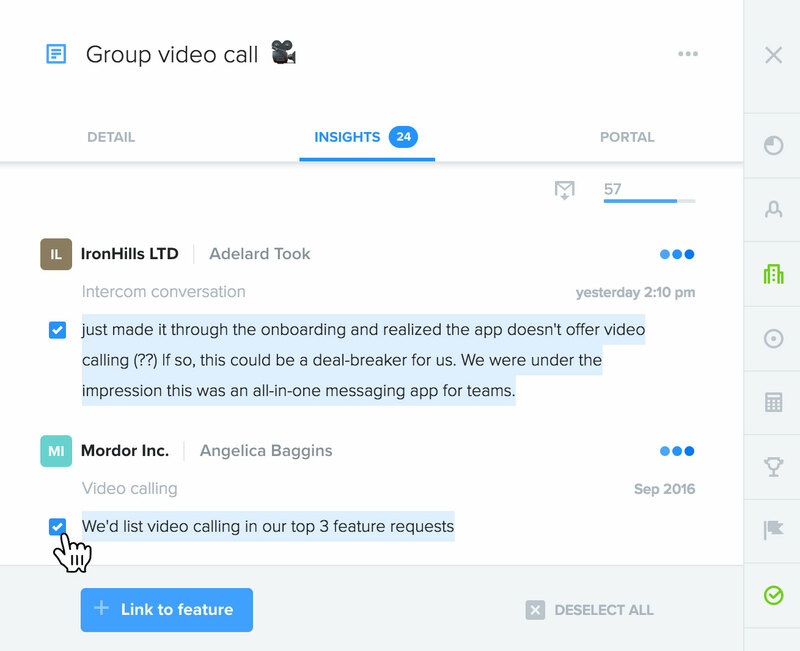 Now you can quickly re-link many insights from one feature/component to another. In a feature's details, under Insights, select each insight you'd like to duplicate or move to another feature. Unselect the Move insights to new feature option if you'd like them duplicated rather than moved. Select a feature/component to move the selected insights to. 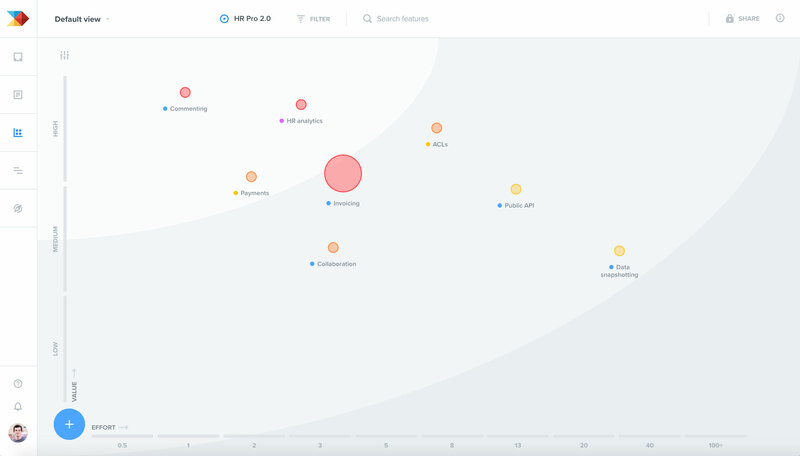 So you've built an initiative around features that support a common objective... what next? Use the Prioritization matrix to decide each feature's final priority within the initiative by evaluating its value to the initiative versus effort required to bring it to life. To try the matrix for yourself, enable it for your project in productboard Labs. Already using the Prioritization matrix? You'll notice the horizontal position of your features now look different with the latest update. That's because we've swapped out the old matrix complexity field for your project's standard effort field. But don't worry: the matrix complexity values have been preserved – look for Matrix Complexity (legacy). If you'd like those values mapped on to effort to once again be shown in the matrix, contact us through in-app chat. Unsubscribe yourself from daily summary emails – even if they remain enabled for other project members. Look for the new link at the bottom of each email. Upload your own profile picture – no more Gravatar! We're striving to deliver more value to your team in less time. Send us feedback on the ideas we're considering working on next.